Meth Can Have Short-term and Long-term Effects On Its Users - Contact Jardine Law Offices P.C. for a free consultation. Call at 801-350-3506. 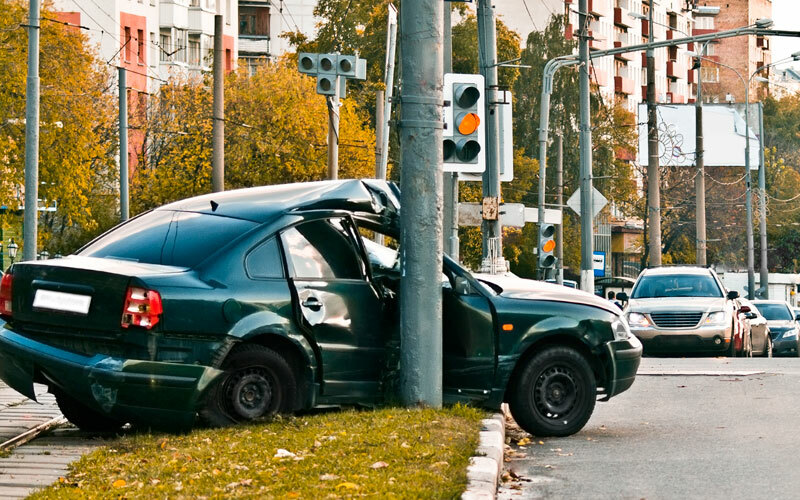 Car accidents can be a traumatic experience, even when they’re relatively minor. Of course, there’s a world of difference between a small bump and a multi-car pile-up but, no matter how little damage you seem to have done, you should never leave the scene of a accident without reporting it to the police and waiting for them to assess the situation. If you do decide to leave before this point, you could find yourself in serious trouble with the law, and in need of an outstanding car accident attorney. As you probably learned when you were in elementary school, it’s generally better to own up to your mistakes and takes responsibility for your behavior, and car accidents are no exception. Yes, if you’ve caused an accident, you will be liable for damages, but the potential consequences of leaving the scene can be far more severe. Take, for example, the story of Shutney Lee Kyzer. Kyzer is currently awaiting arraignment following a 3rd District Court hearing related to a car accident she was involved in last July. The accident, which took place on Salt Lake City’s 425 W. 200 South, left one pedestrian pronounced dead at the scene, and five more treated for injuries including broken bones. During the hearing, one of the injured pedestrians told how he saw her exit the car and run away following the accident. Kyzer apparently did not attend work and left the state soon afterward. She has been ordered to stand trial, due to start on February 2, charged with two third-degree felonies – leaving the scene of an accident involving death, and unauthorized control of a vehicle for an extended time – and one infraction, involving driving on the sidewalk. Panicking after a car accident where you seem to be at fault is understandable, but it’s important to act appropriately despite your emotions. If you are able to call 911, do so immediately, and wait at the scene until emergency services attend. Remember, leaving the scene will only ever make matters worse. Your next step should be contacting an excellent Farmington-based car accident attorney to represent you in court and defend your case. Joseph Jardine has worked diligently on car accident lawsuits throughout his career, ensuring that every client is in the best possible position to succeed. Facing criminal charges, as a result of a car accident or otherwise, is never going to be a fun or easy process, but choosing a suitable attorney to tackle the complexities of Utah’s legal system on your behalf can be your best defense against an uncertain outcome. If you need a Farmington car accident attorney, contact Joseph Jardine on 801-350-3506 to arrange a free consultation and find out how you could benefit from his 15 years of relevant legal experience.